Mackinaw Lake Trout fishing has been very, very, Tough to great depending on the Day. We are fishing in 80 to 160 feet right now with Dodgers and Minnows or Flashers and minnows. Bouncing bottom has been effective as they have begun to spawn and are territorial. Bites are pecks or nips and 90 percent of them spit the hook upon netting. They are stuffed with shrimp, crawdads, and Kokanee Salmon. Some limits and size ranges have been 2 to 8 pounds with the larger fish at 12 to 18 pounds. Kokanee Salmon of 8 to 13 inches have been reported taken off Camp Richardson in 150 feet or so. 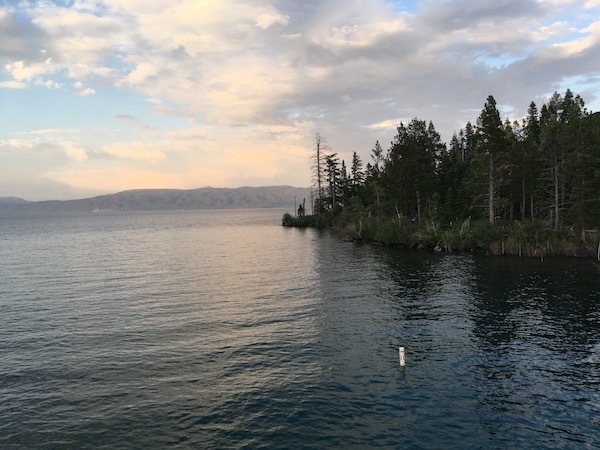 Some rainbows have shown up of Deadman'sPoint, Eagle point, Emerald Bay, and Sand Harbor in 12 to 21 inches with smaller stick Baits or Sepps Flashers and worm. For more information call Gene St. Denis at Blueribbon Fishing Charters 530-544-6552. Grant Lake: Grant Lake Report!